A while ago we wrote about this cool homemade hot sauce kit by W&P Design. Now, we’re glad to introduce more awesome kits from the same company. 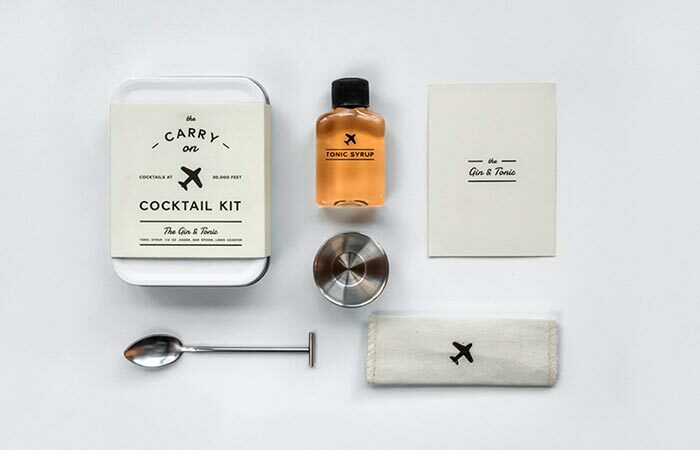 W&P Design Carry-On Cocktail Kits have everything you possibly need to make yourself one killer cocktail on the road. Because everyone knows cocktails in the plane aren’t so good, so why not make it yourself? This ultimate travel companion is there when you’re cruising at 30,000 feet and want to relax. 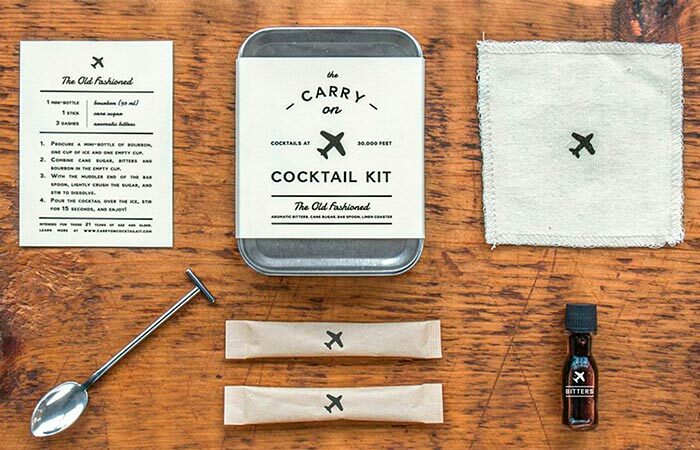 Each kit allows you to prepare one type of cocktail. So, whether you’re into an Old Fashioned, Gin & Tonic or The Moscow Mule, they got you covered. 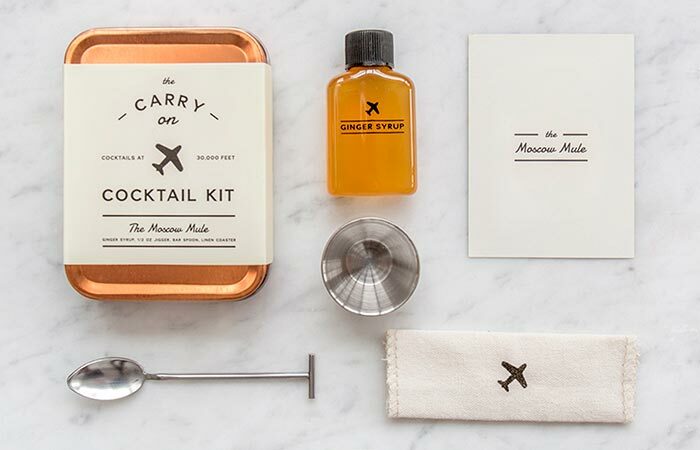 Old Fashioned, Gin & Tonic or The Moscow Mule cocktail kits. Each one comes in a small tin case. W&P Design Carry-On Cocktail Kits come in a nice carry-on tin case that’s super efficient for packing and passes through security. 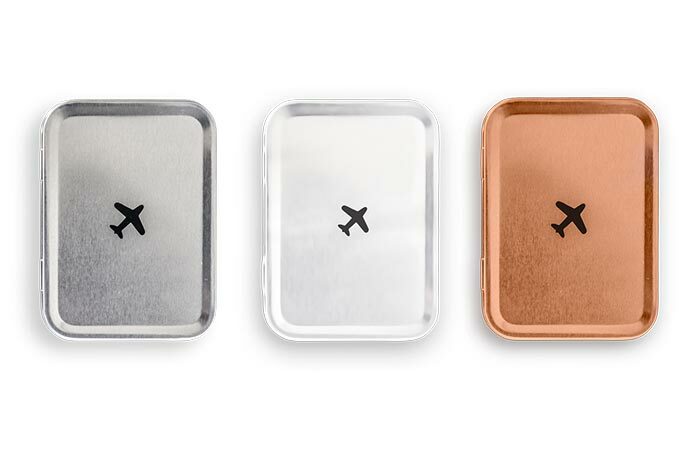 The tin is reusable and small enough to fit inside a pocket (3.125″ x 4.25″ x 1″). Inside the case, you’ll get a recipe card that walks you through the process of preparing a cocktail step by step. All kits include a linen coaster, small stainless steel spoon and a recipe card. So, what do you get in this kit? No matter which one you get, they all contain a linen coaster and a stainless steel spoon/muddler. Of course, alcohol isn’t included, so you’ll have to order it on the plane. If you go with the Old Fashioned, you’ll get a small batch of aromatic bitters for extra flavor. Also, there’s the cane sugar to bring the deep and rich flavor to your cocktail. The Moscow Mule comes with a 1/2 oz. jigger and ginger syrup and Gin & Tonic with 0.5 oz. jigger and craft tonic syrup. Depending on the type of cocktail, you get different ingredients inside the case. The kits don’t include alcohol, so you’re gonna have to provide it yourself.